Custom 2 Story Home with DEEDED Boat Slip off highly desirable Isle of Pines Rd in Pine Isle/Northshore neighborhood. Large Private 1.18 Acre level lot, partially fenced. 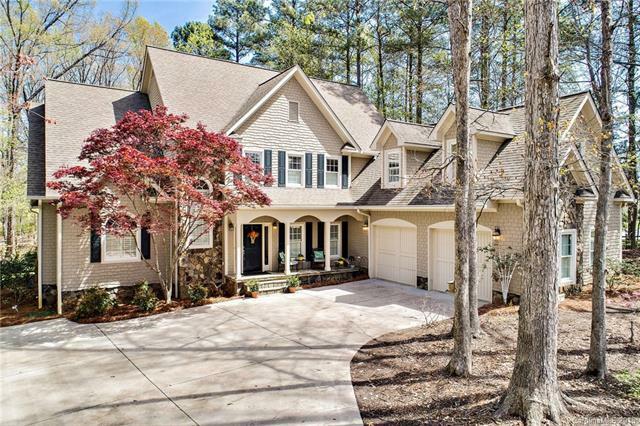 This home is perfect for entertaining, Open 2 Story Foyer and Great Room with tons of windows and built-ins, Huge Open Kitchen to Keeping Rm with see thru FP to Sunroom/Bar area. Master Suite on Main w/His & Hers Walk-in Closets, Oversized Bathroom with Jetted Tub, Sep Shower and Double Vanities. Dual Staircases to upstairs/catwalk area. Upstairs has Office (used as BR), 2 BRs and a HUGE Bonus Room with TONS of Storage throughout! Deck accessed by both Sunroom and GR. You have to see all the space in this home! Boat Slip located off Waterford Drive at Community Pool. HOA dues include Boat Slip dues.